Yesterday began their annual membership auction. All the quilts are small, 12″ x 12″, and benefit the organization directly. MY little quilt is in the second group to be auctioned off beginning September 24. 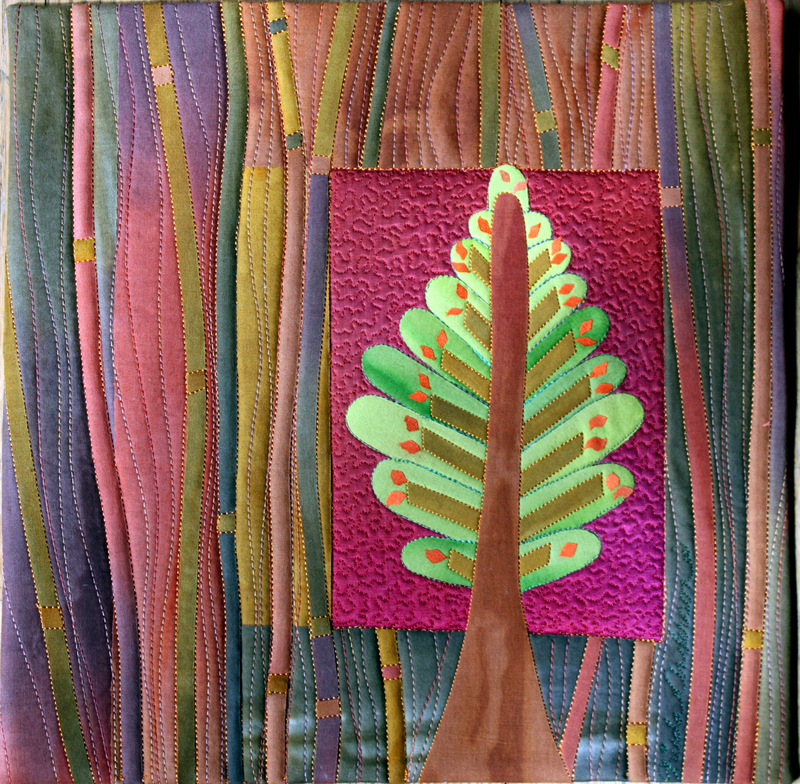 It is titled Winter Pine and is made with my hand dyed cotton and silk fabrics. It is a fused collage style quilt. I hope you will go over to the website and bid on it. Have a wonderful weekend. It is a beautiful weather here in the mid west and amazingly the hummingbirds are still here and I am enjoying seeing all three that come to my feeders fight to get at that sugar. I may clean my car today.